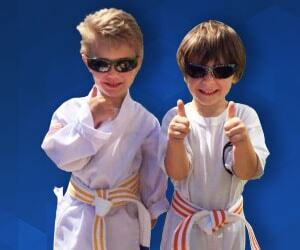 Our kids martial arts classes in Lake in the Hills are for children ages 7 and up. In these classes we teach kids confidence, self-awareness, respect, discipline, goal setting, and much more! It doesn’t just stop there, though… Our active classes will help improve your child’s overall fitness! There is more to martial arts than just kicking and punching, and your child will grow from all the benefits that martial arts has to offer. “More coordinated”. “Able to focus and complete tasks.” “Loves setting goals now.” These are just a few of the comments that we hear on a regular basis from parents after their child has participated in our Preschool Martial Arts program. Our pre-k classes are built specifically for kids between the ages of 3 to 4, and 5 to 6. 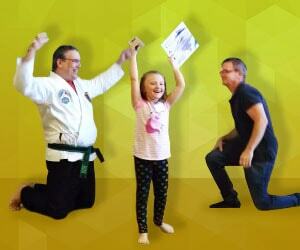 We want your child to have fun while also learning new skills and improving their coordination and focus. “They had so much fun and their friends loved it!” Our goal with every birthday party is to make it the best one ever – the one that your chill never forget. Our birthday party packages at our Lake in the Hills schools include a ton of fun and exciting games (and also some amazing food). 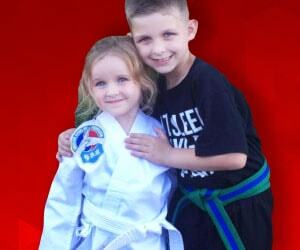 Your child and their friends will learn real martial arts skills from our instructors and we take care of everything for you. All you have to do is get the kids here and then relax! Click the button below to request more information.